Thinking Australia’s summer of cricket had drawn to a close after the Big Bash final, I was somewhat saddened because the rain in Darwin kept me inside far too much. Little did I know there were several Twenty 20 games to go. My plan was to get out more, but lying down to a good night’s sleep, the rain started falling again and the darkness of night was illuminated by lightning with the boom of thunder following close behind. 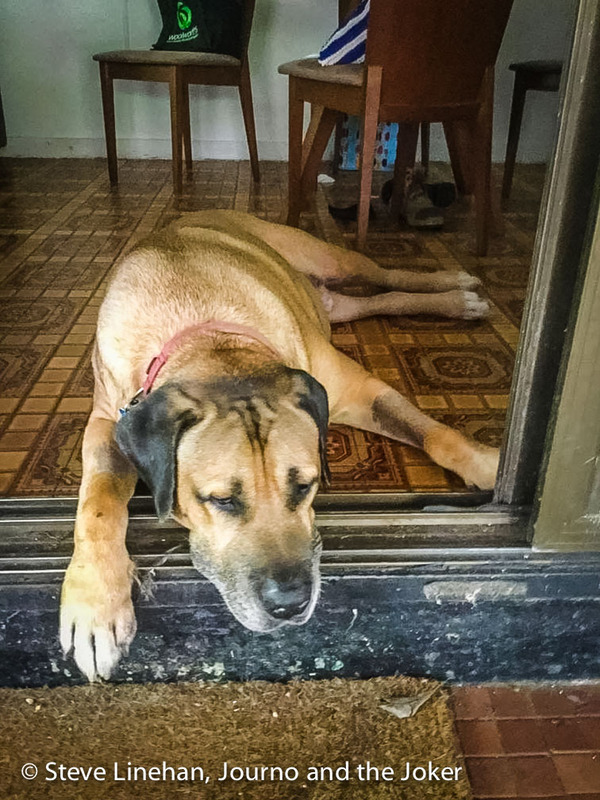 Luckily for me, my sister’s dog Boofa, sleep’s inside, as he likes to chase thunder with the intension of making a meal of any storm that comes within hearing distance. Now this 65 kilo turd machine has a bark which could be used as a signal horn on a container ship – and I’m sure you can imagine the echo from inside a steel framed house. Certainly didn’t add to my sleeping comfort. Unfortunately for Boofa my sister wasn’t overawed by his foghorn barking during the night and she sought her revenge during the day. Every time he laid down to have a sleep – which is most of the day – she would wake him up and ask him how he liked it. 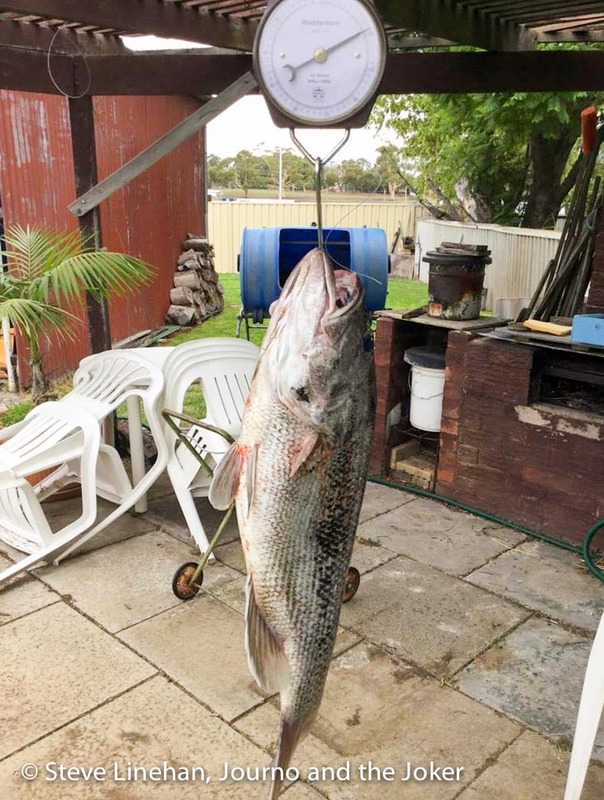 With the end of the million dollar barra season upon me, I was still not able to announce my financial independence. So I decided to pick up stumps and head over to the West of Aus to visit the Journo’s parents and spend a few days with my brother and his family. It also brought me closer to a jumping point for a new position I applied for in the Pilbara region in north West Australia. My first priority in Perth was to buy a car as my time in Darwin without a vehicle was a constant pain, having to rely on other people’s generosity to get around. Being a Holden man, converted to Nissan, after owning a Ford, I am somewhat surprised to find I now own an old Ford sedan. Unlike my other Ford, this one isn’t renowned for its door handles to fall off, so in that regard I am quietly optimistic that this one won’t drive me around the bend. Wanting to give it a quick run, I headed to Bunbury to visit my brother for a day or two, to arrive on the day of his birthday for a quick celebration and to find out he was heading to South Australia the next day to pick up a race car for his boss. I managed a day out in a boat fishing, without any luck –as has been the case for the last four months. Sadly, the one below was caught by Ron, who generously took me out in the boat for the day. So with tail between my legs, it was a slow meander home to Perth. Now, being in Jane Brook ( a suburb of Perth) is like being inside a massive black hole where nothing escapes and the only form of reliable communication is smoke signals, which in WA is very funny because the wind will blow the hair off an old dog. But somehow an email got through to let me know I was offered the job I applied for at the Port Hedland Council, in the Pilbara region. 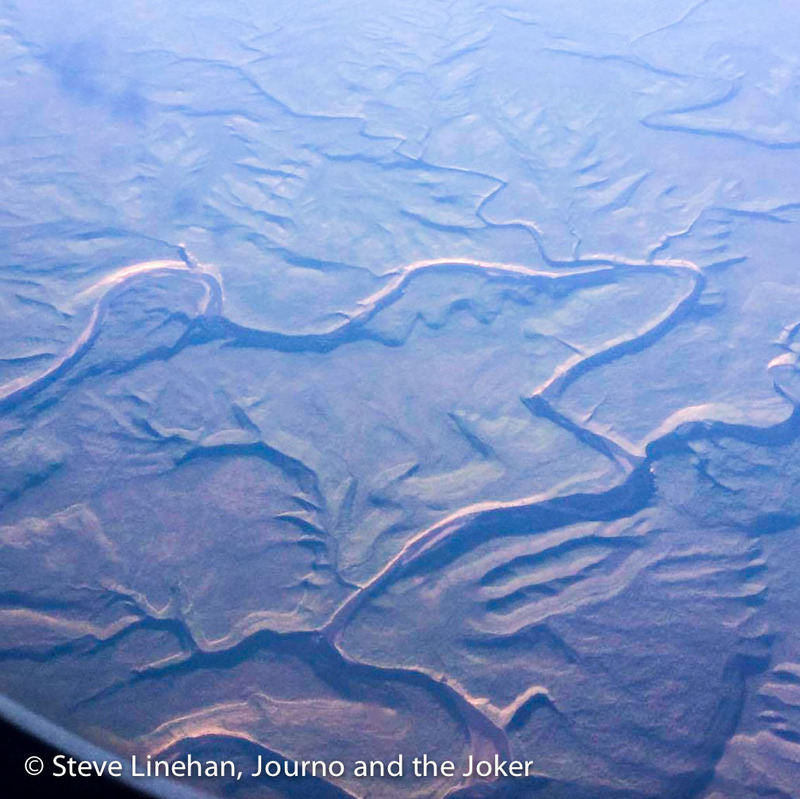 I took this photo of the Pilbara as I flew from Darwin to Perth. It’s pretty remote country. So I am on the move again to the far north with its heat and flies, to begin a new chapter. Hopefully that allows me to travel the Pilbara and it’s still only a couple of hour’s flight back to Asia – although cheap flights could be a thing of the past. So I’m off to pack and get my gear together for the next adventure. Apologies from the Journo, who has had this post waiting in the wings for a good few weeks but has only just had the time to upload it. Stay tuned for all that’s been going on with the Journo and the latest on the Joker’s new home. Good luck with the new job. I would love to live up north, I am a country girl at heart. Great to hear a story from Steve, sounds like the new job is a nice change of scenery, what will you be doing? Looking forward to hearing more! Sounds cool, can’t wait for a few posts from Port Hedland.